Q : What makes English Gang courses stand out? 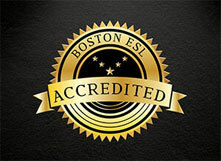 A : Our curriculum is the only curriculum in Thailand that is certified by both Boston ESL and ESL Stars, with the 5-star rating. Since the courses are done online, it saves learners’ and also parents’ time and money. Classes can be conducted either at your own place, your children’s school, or anywhere that is convenient for you. Q : How many course levels are offered by English Gang? Q : How many lessons are there in each level? Q : What level of English is needed to start with English Gang? A : English Gang offers more than 500 lessons for learners of all different levels and ages. Our step by step approach makes learning easy to digest, and is targeted at improving confidence, accent and understanding with our native English speaking teachers. Q : How much is it to register for each course? A : Fees depend of the number of sessions a learner would like to study. We offer three different packages, Package A allows a learner to study 10 sessions (5,500 THB), Package B allows a learner to study 25 sessions (12,000 THB), and Package C allows a learner to study 50 sessions (21,000 THB). Q : Can I study everyday, and how long does each class take? A : You can book a session everyday. Each class lasts 25 minutes, which works well for everyone's schedules.